Timber is a natural material which looks fantastic. It is attractive in grain and colour. There are a wide variety of styles, textures and finish options available which encourages design innovation. It is easily rejuvenated or redecorated. 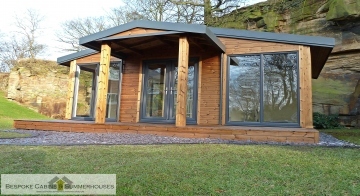 If you are considering using external timber cladding for your project, whether large or small, please browse our website for further inspiration or call our expert sales team on 01472 350151 who have a wealth of knowledge and experience and will be pleased to advise on your particular requirements.